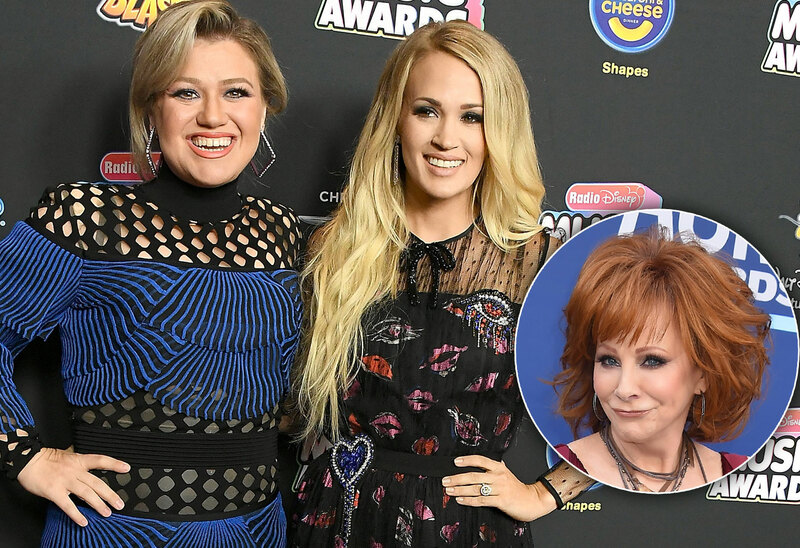 Reba McEntire Trying To End Carrie Underwood & Kelly Clarkson Feud! Reba McEntire Struggling To End Carrie Underwood & Kelly Clarkson’s Feud! Carrie Underwood and Kelly Clarkson both won their seasons of American Idol and have found tons of success in the music industry. But the two singers have become rivals who apparently do not get along. Now, their friend Reba McEntire is trying to build a bridge between the two, ending their feud. Click through the gallery for all the info from the newest issue of Star! Kelly and Carrie have a lot in common. They’re both 36, they’re both married and they both have two kids. Kelly, who won the first season of Idol in 2002, is married to music manager Brandon Blackstock. They have two children — River, 4, and Remington, 2. She also has two stepchildren. Carrie won season four in 2005. She’s married to retired hockey player Mike Fisher and has two kids: Isaiah, 4, and Jacob, 3 months. But the two stars have been locked in a secret competition. Carrie has seven Grammy Awards. Kelly only has two. Carrie has also had major success on the Billboard charts. Sources told Star that she’s envious of Kelly’s coaching gig on The Voice. Now, Reba, 64, is trying to help the pair see they have a lot in common. Could a heartwarming duet be in their future? For all the info on Reba’s attempt to end Kelly and Carrie’s feud, pick up the newest issue of Star, on newsstands now!